The use of precast concrete is a well-established construction technique for beams, floors, panels, piles, walls and other structural elements. The advan- tages of precasting include excellent quality control, economical large scale production, improved construction productivity (especially in adverse weather conditions) and immediate structure availability. These advantages have been recognized for precast concrete raft pavement units (raft units) since their introduction in the 1930s. In the last ten years there has been a considerable increase in the use ofraft units, especially in their range of applications, their analysis and their design. However, the description of these developments has been published in academicjournals and conference proceedings which are not readily available to practising raft unit pavement design engineers. Pavement design engineers are underincreasingpressure to produce raft unit designs that are inexpensive, long lasting and able to allow reorganization to accommodate changing use and uncertainty offuture loading requirements. 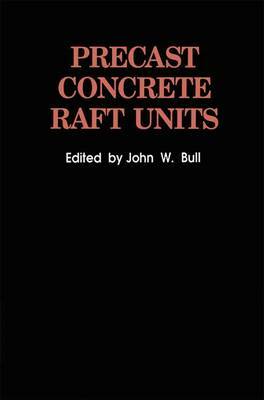 This is the first book devoted to raft unit pavements, and will become a standard work of reference.